Colbertism failed in France. Will it work in China? The world’s largest nation takes a page from the 17th century. 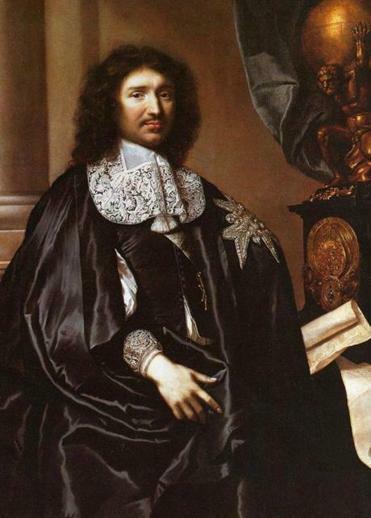 A painting of French statesman Jean-Baptiste Colbert by Claude Febvre, 1666, housed at the Versailles Palace. China is buying up the world’s finite industrial resources to feed its industrial growth. From Africa and the Americas to its own territory, Chinese state-run companies are acquiring access to oil, iron, copper, soybeans, and pork. China now controls 90 percent of the world’s rare earth industry—the minerals necessary for the production of technologies such as cellphones and computers—and strictly limits their export. To political scientists, it can be difficult to characterize the current Chinese system. It defies definitions like communist, fascist, or even totalitarian. Yet to the historian, China’s mix of tight state control over the economy and its attempt to gain control over masses of natural resources actually looks remarkably familiar. It is a mercantilist approach that has already been tried—and that briefly succeeded—under Louis XIV’s finance minister, Jean-Baptiste Colbert, in 17th-century France. Mercantilism is the idea that the world’s supply of gold and raw materials is finite, and that whichever country dominates these supplies will, in turn, dominate the world economy. And that entails a state managing its economy directly. To achieve this in France, Colbert created a program of state-sponsored colonies, scientific academies, industries, and monopolies, while taxing and, sometimes, forbidding imports of foreign goods. The idea was to amass natural resources, close the French economy to outside competition, and ultimately dominate the world export market. That attempt was, in many ways, a failure, and Colbertism—or dirigisme, as the state ownership of industry is called—is largely seen as discredited today. But China has industry, population, and global reach that Colbert could not have conceived of, and today it seems to be following Colbert and succeeding. 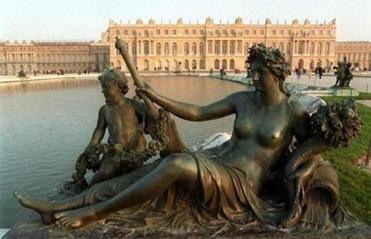 The palace of Versailles is pictured behind a fountain. China’s increasing dominance offers something of a surprise: It suggests that Colbert’s philosophy could actually work better than long believed. But it also offers a cautionary lesson for China, and perhaps an encouraging one for its Western rivals. The experience of France suggests that the most important resource of all—human capital—may be, paradoxically, very difficult for a centralized state to capture. WHEN KING LOUIS XIV of France took the throne in 1654, France was the most populous and agriculturally rich country in Europe, with more than 23 million inhabitants. Yet as rich as France was, the crown was virtually broke. Louis needed his new finance minister, Colbert, to increase the demand for French goods by bringing the fight to the Dutch Republic in terms of both industrial and naval power. At the time, the Dutch Republic dominated world trade; it also countered the Sun King’s monarchical might by promoting a free market, political freedoms, and religious tolerance. To counter Holland and start amassing wealth, France needed to build its own shipping and industrial sector, and only the state could do it quickly. Colbert believed that state-sponsored and managed “manufactures” could compete with Holland and employ a million “idle” workers. Colbert’s administration issued strict rules and regulations, and the state became a vast industrial machine. Colbert built entire ports and ship-building cities, cloth and porcelain factories, and giant infrastructure projects, like the Canal du Midi, which created a national transport network for internal trade. In terms of what it created, Colbert’s project was a success. During his time in power, the navy grew sixfold to 250 boats, with more battle-ready ships of the line and naval personnel than either Holland or Britain. He founded the Academies of Sciences and Arts as well as the Royal Observatory, hiring foreign scientists to run the institutions. Colbert brought technicians and skilled artisans from Italy, Holland, and England to aid in key industries like cannon manufacturing. He founded the famous Gobelins tapestry works and the Royal Glass Works that made Versailles’ Hall of Mirrors (and which still is in business today as the company Saint-Gobain). He invested state money in the East India Company and expanded French colonies in Canada and Louisiana (the Mississippi River was, for a time, named the Colbert River). And he personally oversaw the building of Versailles, the greatest palace of its time, which served as a showcase for French luxury goods. Colbert’s financial and legal administration was the envy of the world. From Samuel Pepys, the British chief secretary to the admiralty, to American founding father Alexander Hamilton, who designed the US government’s early financial system, state administrators dreamed of centralizing industrial management as Colbert had done. Still, for all of Colbert’s grand vision, there was one significant problem: Most of his projects failed to make profits and compete with the Dutch. Colbert had to force merchants to invest in the money-losing East India Company. Millions of livres disappeared into unprofitable, state-subsidized factories, and many of Colbert’s rules and regulations stifled industry. Even more problematic, Colbert saw economic success as tied to state secrecy and absolute power. He organized a police, spying, and censorship network. The authors of pamphlets against the crown were sentenced to the galleys—forced to work rowing boats until they died—and those who leaked state information found their lives destroyed. Even before the mass expulsion of Protestants in 1685, many businessmen, skilled artisans, and influential thinkers fled to the freer air of Holland, England, and the British North American colonies, taking their entrepreneurial energy and brainpower with them. At the same time, Louis spent scarce state funds on frivolous continental wars and building pleasure palaces, leaving increasing deficits, which mortified Colbert’s accountant sensibilities. French industry was not profitable enough to support itself and endless war. Colbert died in 1683, and by the time Louis XIV followed in 1715, the state was bankrupt and many of Colbert’s projects had long collapsed. In the end, it was political freedom that was France’s Achilles’ heel, and it might be China’s, too. Does this mean that Colbert’s state-sponsored model presages the failure of China? 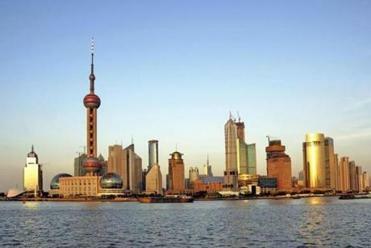 There are key differences that might allow for Chinese success, at least in the near term. Where France was perpetually in the red due to overexpenditure and foreign war, China has a massive $500 billion sovereign wealth fund (which, in a Colbertian move, the government forces citizens to support through no-interest bank accounts). France constantly trailed Britain in industrialization; China, on the other hand, is one of the world centers of industry. And, as yet, it has avoided the kind of colonial or aggressive warfare that, as France and America have learned, drains state coffers. Finally, where France failed to dominate global resources, China’s international deals and acquisitions are securing the material resources to meet its future growth. Like France, China is competing with politically free and tolerant states, but many are indebted to China itself, and without comparable industrial policies, they are disadvantaged in the race to snap up world resources. Even if China’s strategies fail and its industries lag, and even if it experiences political unrest, it has the wealth, labor force, internal market, and well-funded repressive police state to confront these challenges, at least for a time. In the end, however, it was political freedom that was France’s Achilles’ heel, and it might be China’s, too. Colbert was the first to understand the idea of human capital as a means of state-building. He spent major resources bringing the best minds to France. This was a purely mercantile tactic: Presumably, there were only so many great minds on earth. The irony is that his very philosophy doomed the effort: Political repression later drove many away, and their talents ended up fueling the growth of France’s freer rivals. So far, in this other arena of human resources, it may be the United States that turns out to be the Colbertists. In human terms, America has been mercantilist itself in drawing the world’s finite number of highly skilled workers, thinkers, and business leaders to bolster all sectors of its society. Though China is on the rise in terms of physical resources, its current political climate means that it is a long way from competing with America on that front. To beat America in the world market for brains while maintaining its tight social control, China will have to solve a problem that eluded even Jean-Baptiste Colbert. Jacob Soll is a professor of history at the University of Southern California. His new book, “The Reckoning: Accountability and the Rise and Fall of Nations” (Basic Books), will be published next year. Because of a reporting error, this article included an incorrect date for Louis XIV’s ascension to the throne. He became king in 1654.